The problem with being one of the first people to embrace new tech is that it takes a while for suitable cases and other accessories to make their way to the stores. 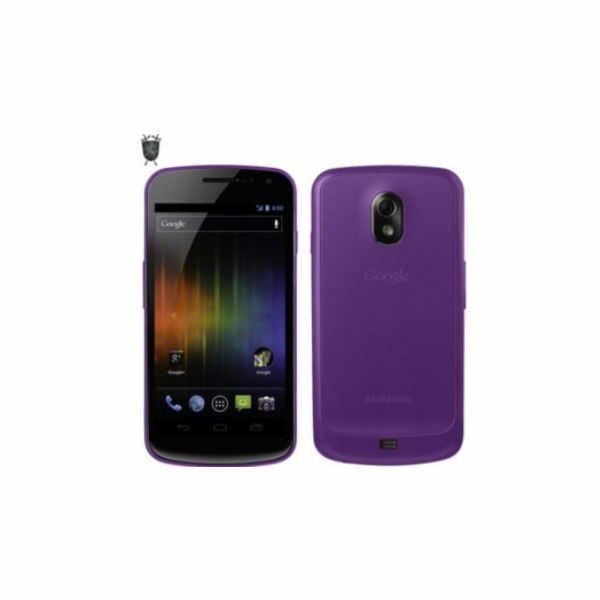 It's likely that upon searching for a good Galaxy Nexus case you'll find your ideal option only to notice 'will ship in 30 days' — frustrating! Here I've rounded up the best options around at the moment, although you will need to check on delivery dates in your area as they vary. We have listed the relevant links at the end of the article, but of course you may find that you can get your hands on it elsewhere in a more speedy fashion; that is your prerogative and who can blame you! Of course more options will make themselves known over the coming months, and I'll do my best to make sure this article remains updated. Case Mate is a hard act to beat in more ways than one. They have a great reputation for producing great-looking cases that offer varying degrees of protection and style options. The reason I like them is that they still let the looks of the phone shine through — you won't find any tacky offerings in their catalogue. As well as this Pop case, Case Mate also offer a Barely-There option which as its name suggests is a case that will add very little bulk. For more substantial protection there is also the Tough case, which is looked at below. 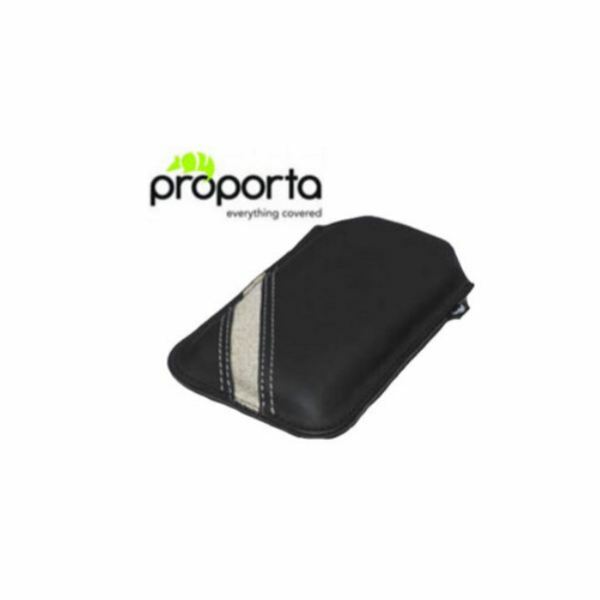 I chose the Pop case as it has some nice detailing that is distinctive but still retains an understated air. This option is available in either black, white or pink. The outside is a high-gloss plastic, tough outer shell, but the interior is soft, so as to protect your phone from friction; both work together to make sure you have excellent protection all round. It's a durable case covering the back and protecting the corners, and it offers very little bulk, so is likely to tick everyone's boxes. For many of us, protecting our phones becomes like an obsession — especially when we are near water. So what do you do if you have a hobby like sailing or windsurfing? 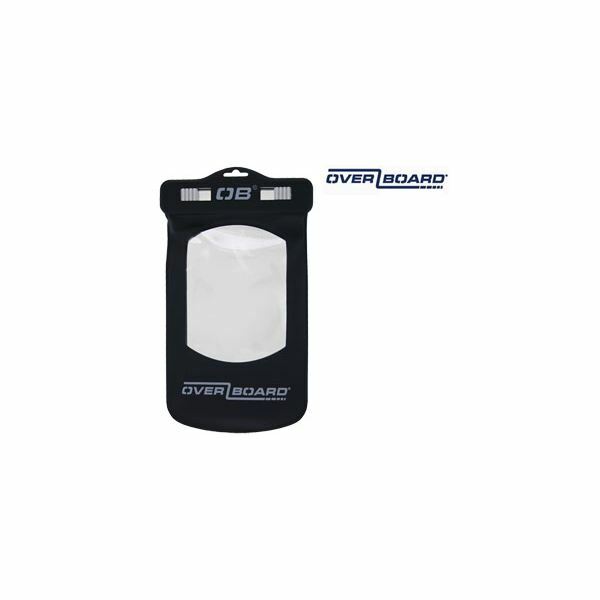 The OverBoard waterproof case may not be the most stylish of our case options, but it beats most waterproof cases out there and let's be honest, it's a lot more stylish than a new Galaxy Nexus that is soggy and doesn't work! The case is constructed from a soft matte material with a transparent window on the front so you can still view your phone's display, and shuts tight around your phone with a Slide Seal System making it completely waterproof. Not only that but it is submersible up to 19ft and will even float your device too, so swimming isn't out of the question. One really nice touch is that the window on the back will still let you take photos, at the same time as keeping your phone bone dry, and of course you can still use it for taking and making calls too. If you're a sand-a-phobic like me then you'll also be pleased to know that it keeps sand and dust away from your precious device too — I'm definitely getting one of these for the beach! For those of you that prefer a nice grippy, soft feel to your case let me introduce you to the Flexishield Skin. Available in white, black, pink and purple it hugs the curves of your Nexus round the back and up the sides, although the screen is left pretty exposed as there's no lip jutting out at the front. This can be a good or bad thing depending on your viewpoint — good as it's a really unobtrusive option, or bad as if you are likely to put your phone face down you are opening your screen up to scratches. Of course there is always the option of a screen guard if this is a concern, but with the slight curve of the Nexus this probably isn't going to be a big issue; just think about how clumsy you are before making a decision. The Flexishield is really easy to put on, as well as being tough and durable. The custom cutouts mean that you have access to all the ports and buttons you need to, without removing the case, and it doesn't add a great deal of bulk at all. The only slight drawback with this type of case is that because it's a nice non-slip choice, it can be a bit more difficult sliding it in and out of your pocket, but all round this is a nice option that's well priced. For a touch of luxury with a stylish old-school dynamic you can't go far wrong with a leather pouch. Before you scoff at such an old-fashioned choice let me put forward the credentials of the Proporta. The beauty here is that your phone is protected all round all of the time. And when you retrieve your beautiful Nexus from the case, the entire phone can be admired unadorned, so you don't have to worry about anything taking over the looks of your phone. Another point of note here is that this case is made from recycled leather so you're doing your bit for the environment, and you won't find better protection than leather. The diagonal stripe adds a bit of visual interest, and the hand-stitching detail looks good against the leather. Inside the case, your phone is protected with a cork interior which is also a green option as well as offering high shock absorbing credentials. This look isn't for everybody, but when you use it in practice I think you'll be pleasantly surprised — especially if you don't want anything permanently covering up your phone. We already mentioned the great name that Case Mate has for producing cases with a high protection score and you don't get much higher than their Tough range. If you have an outdoor job, enjoy outdoor pursuits or are just plain clumsy, this is the best option around for you at the moment. There's nothing remarkable looking about this case, but then by owning a Galaxy Nexus you have good looks aplenty in your device anyway, so for me this is a good thing. You get two layers of protection, just like with the Pop case, but of course the outer shell is much tougher (hence the name!). There's still very little bulk here though, so when we say 'tough' it's not a big unwieldy case to hold. It fits like a glove, with all the relevant cutouts — this is high-quality protection all the way. 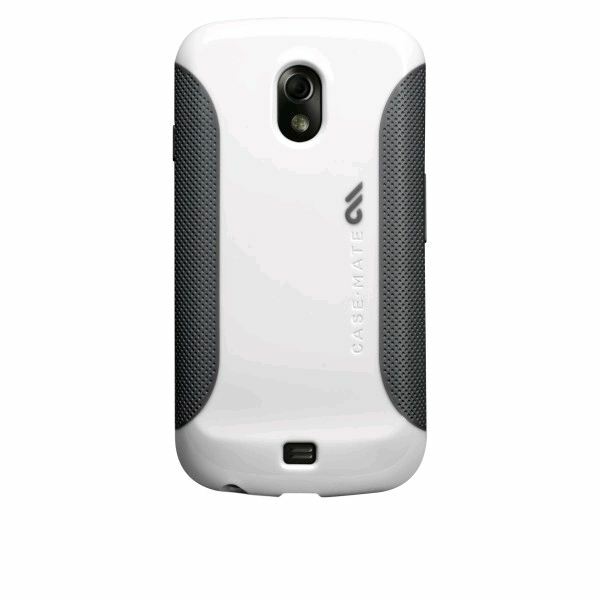 If you want to wait, then Otterbox has revealed that they are definitely releasing cases for the Galaxy Nexus, but no news on when, as yet. In the meantime the Case Mate Tough is your best bet for rugged protection.